The Center for Promoting “Apostles of Peace” of the Catholic Hiroshima Diocese is delighted to announce the launch of a photo and picture contest to commemorate the 90th anniversary of the Catholic Hiroshima Diocese. 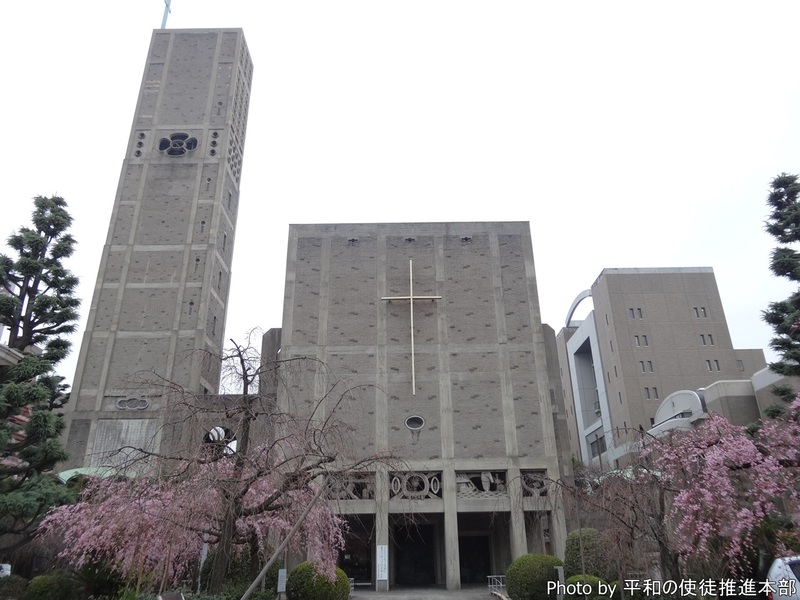 We will be inviting members of Catholic churches in the Hiroshima Diocese to submit their photos and pictures that best illustrate their churches. We hope that many of them would see and observe their churches thoroughly and reflect on their faith through their participation in this contest. Contestants are encouraged to submit photos and pictures of (but not limited to) “the best place of our church,” “a memorable moment in our church,” and “the most appealing aspect of our church.” Short comments may be attached to their photos and pictures. Although copyrights of photos and pictures submitted to the competition belong to contestants, the entries might be used for posters and flyers of the Catholic Hiroshima Diocese. The competition is open to all members of the churches in the Hiroshima Diocese. Contestants are invited to submit photos and pictures of their churches. For the contest of pictures, there are two age-based categories, namely children (junior high school students or younger) and adults. For the contest of photos, no age-based category is used. Entries will be judged by the committee members who will be appointed by the Bishop Maeda and the Hiroshima Diocese. The winners of the contest will be awarded by Bishop Maeda during the closing Mass of the Year of Faith and announced in the website and the newsletter of the diocese. Pictures and Photos must be the ones of the churches where the applicants belong. Pictures: There is no rule for painting tools. Water color paintings, crayon paintings, storyboards, pencil paintings and oil paintings may be submitted.The size of paintings: A3 size (297mm x 420mm), Yotsugiri drawing paper (380mm x 540mm) or size 8 or Hachigo canvas. But paintings whose sizes are slightly different from the ones mentioned above will be also accepted. A contestant may only submit two entries at maximum. Entries must be unpublished and original works. Only non-professionals may submit their entries. Please submit electronic data of the photo too when you submit your photo. As a general rule, photos that are submitted to the contest are not returnable. Pictures will be returned to the respective parishes, so please receive your pictures from your parish. If a photo is collaged or manipulated, please so state. Please write your postal code, address, name, age, telephone number and church or parish on any paper and enclose it in envelop when you send your picture and/or photo. Please mail your entry with poster board and the like in order to prevent your entry from being folded. Please send your entry by either mail or door-to-door delivery service (takkyubin). Note: Although copyrights of photos and pictures submitted to the competition belong to contestants, the entries might be used for posters and flyers of the Catholic Hiroshima Diocese. If entries are used for a mosaic photo poster of the diocese, the photos might not be identified. Regarding the submission by minors, we consider that consent has been accorded by their guardians to their entries.